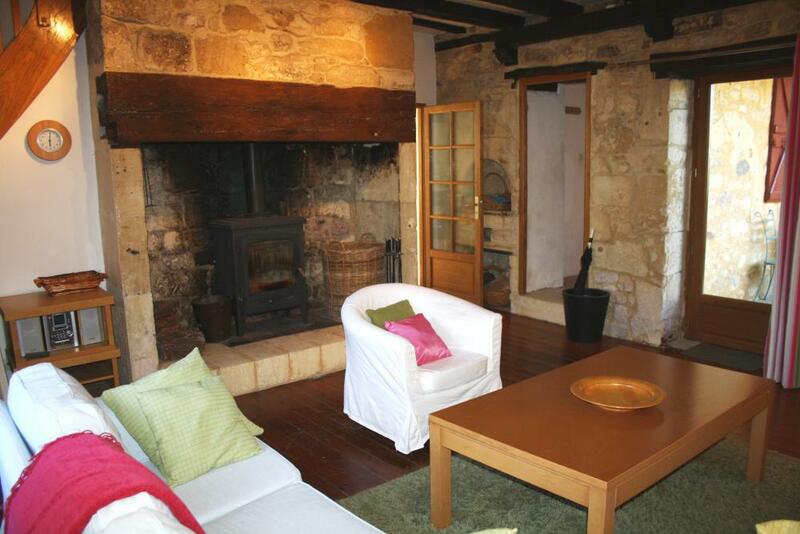 This beautiful stone house is set in a tiny hamlet, just 200m from the Dordogne river, and a short drive to Domme and Sarlat. Dating from the 18th century, and featuring its own small turret, the house offers quality accommodation and a tasteful renovation which has retained many original features, whilst mixing them with modern equipment. 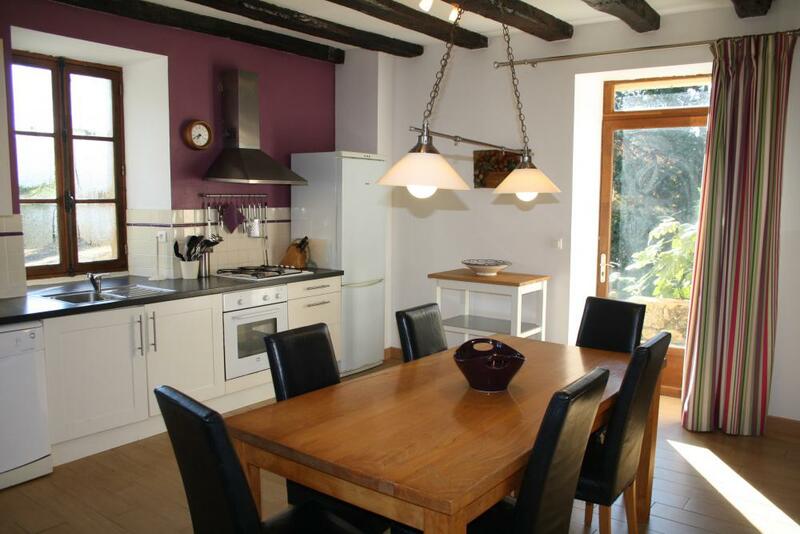 * a spacious and light filled modern kitchen with large double aspect windows overlooking the garden. The kitchen offers all the necessary equipment for preparing home cooked meals (electric oven, gas hob, fridge freezer, dishwasher, washing machine/dryer, coffee machine, kettle, toaster...). Thanks to the solid wooden dining table and 6 chairs, the exposed beams, and the woodburner, it is an ideal spot for convivial dining. * a stone opening off the kitchen, leads to the cosy lounge, complete with two comfortable sofas, an armchair, bookshelves filled with books, games and DVDs, coffee table and several lamps. 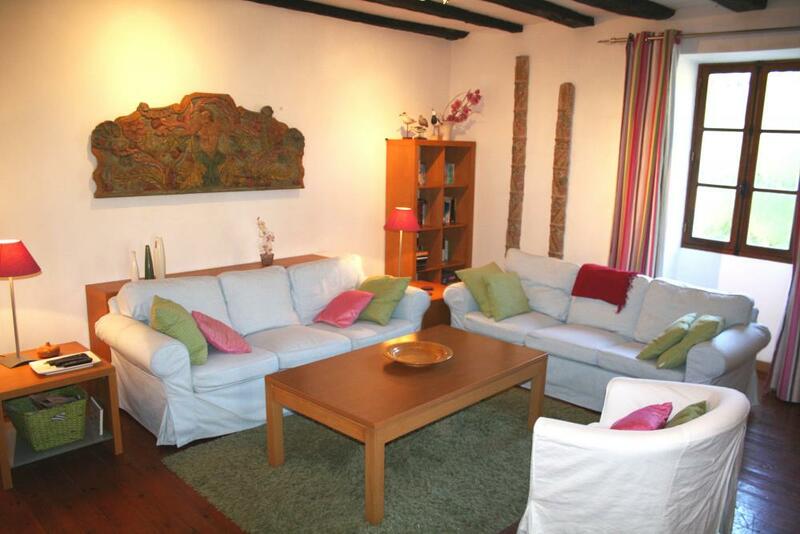 There is a flat screen TV and DVD player, and another woodburner stove set in the magnificent, large stone fireplace. 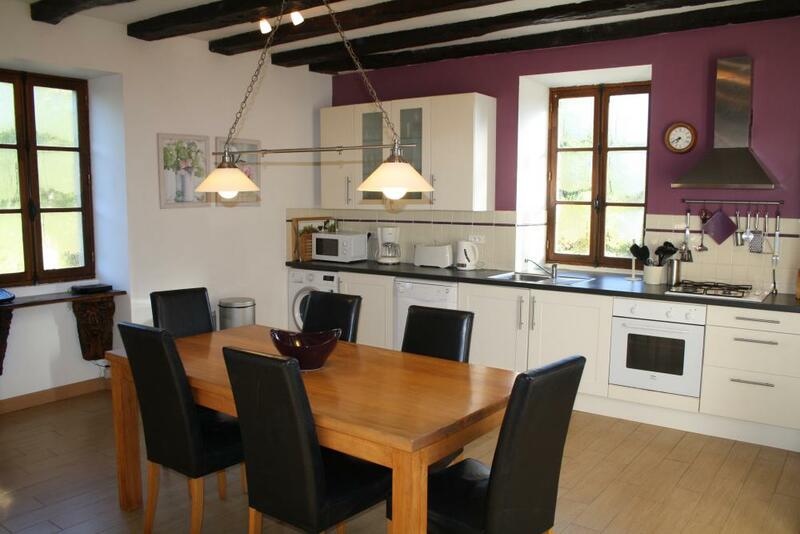 The character of the property has been retained with the exposed beams, stone walls and an original stone sink. A glass door leads onto a raised terrace to the rear of the house - ideal for an evening aperitive! 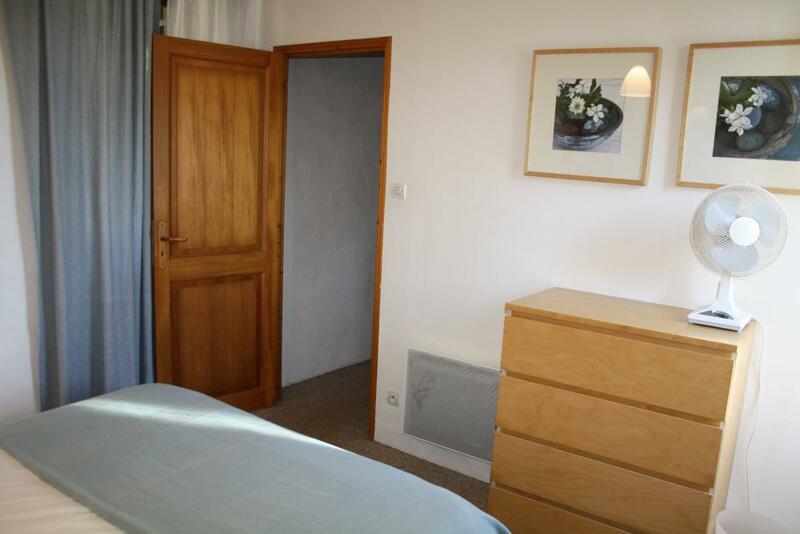 * from the lounge, a small corridor gives access to the first bedroom. 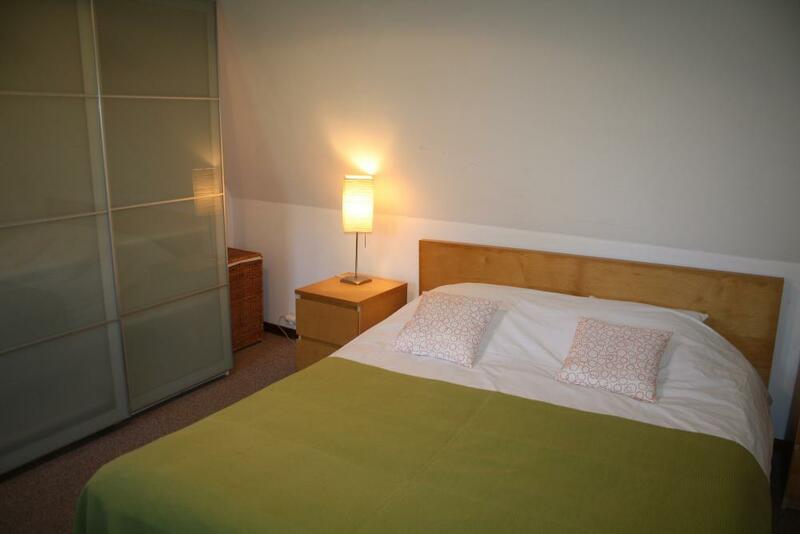 This offers a double bed, wardrobe, chest of drawers, bedside tables and lamps. 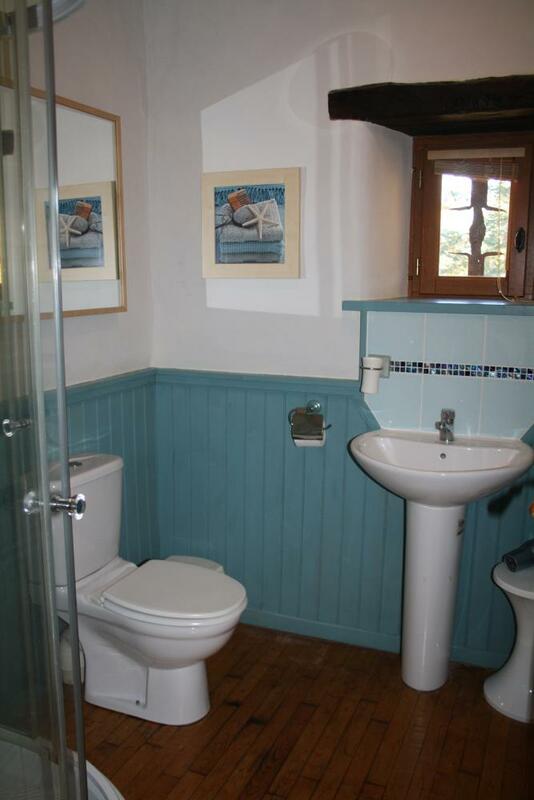 * it benefits from a private shower room with shower, heated towel rail, basin and toilet. 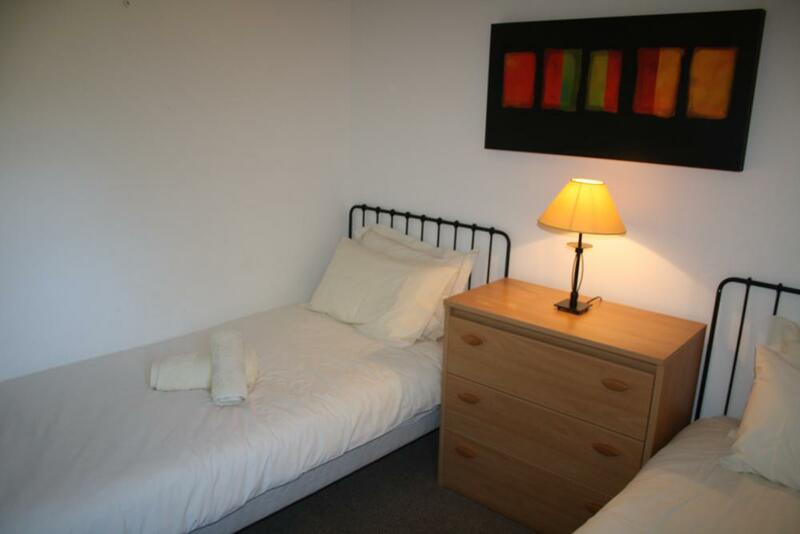 * a second double bedroom, complete with large wardrobe, bedside tables and lamps, and a TV for watching DVDs only. 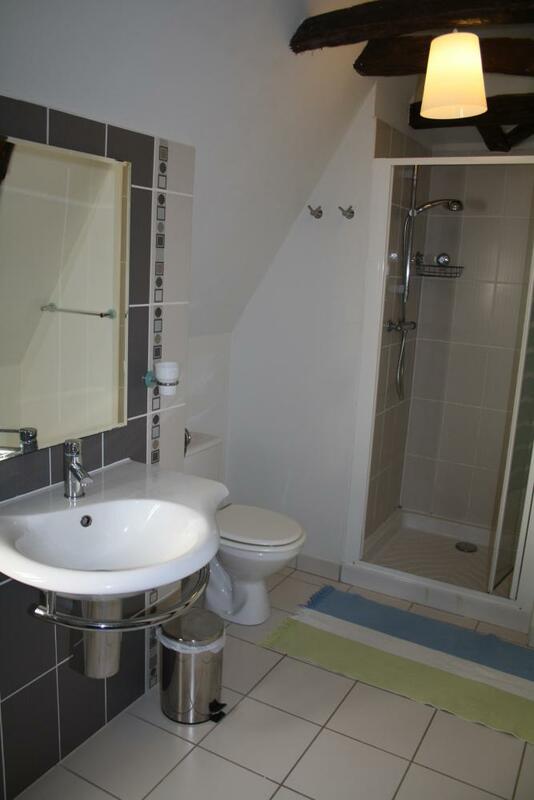 * a modern and spacious shower room, with shower, washbasin, heated towel rail and toilet. There is also a baby changing table. 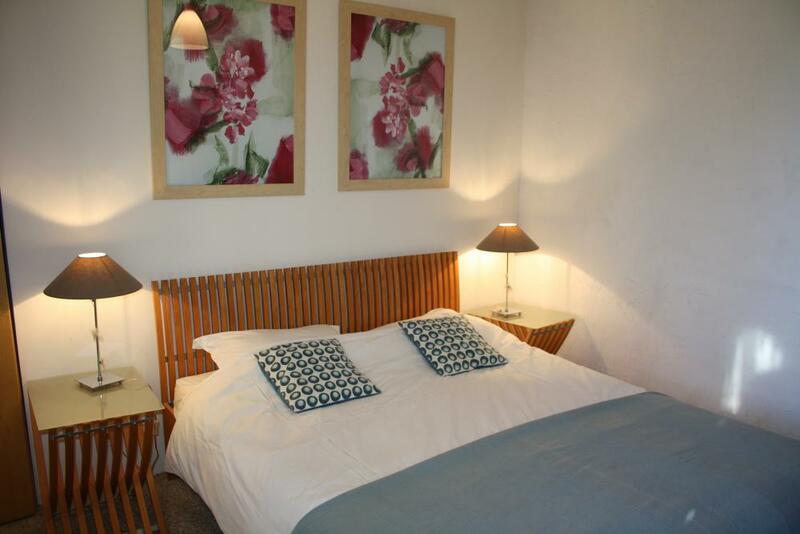 * the third bedroom offers two single beds, which can be joined together, chest of drawers and lamp. 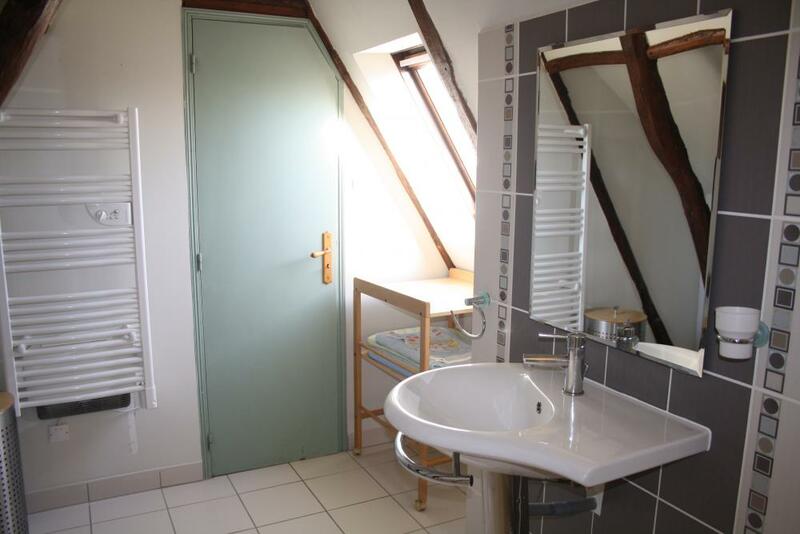 * a compact bathroom has a bath, separate shower, heated towel rail and a washbasin. Internet Wifi access throughout the house. 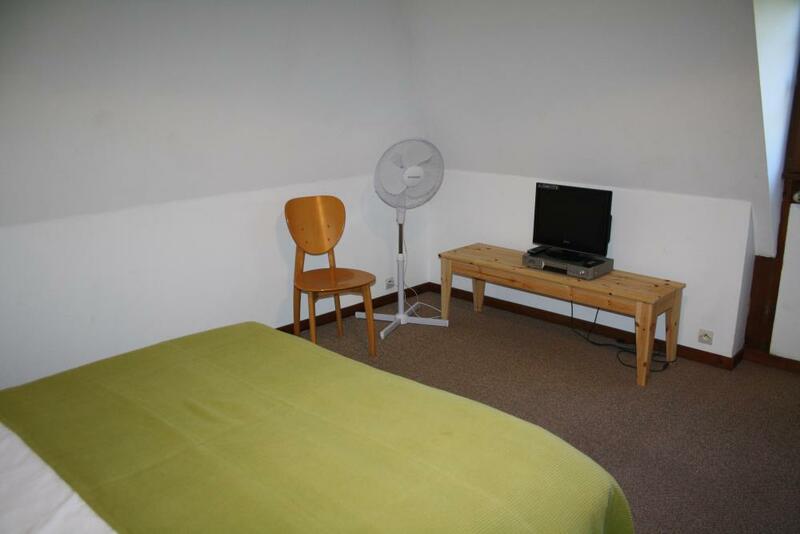 The extensive grounds are extremely well maintained and planted with numerous shrubs, mature trees and roses. * the private pool, heated from May to September, measures 10m x 5m, and has a shallow end of approximately 1m20, and a deep end of 2m. It is secured by a floating hard cover. A barbecue, table and chairs, sun loungers and parasols are set on the terrace surrounding the pool. * a lovely terrace with large, wooden, square table, chairs and benches and parasol, is the perfect spot for leisurely lunches whilst appreciating the view and the peace of the garden. 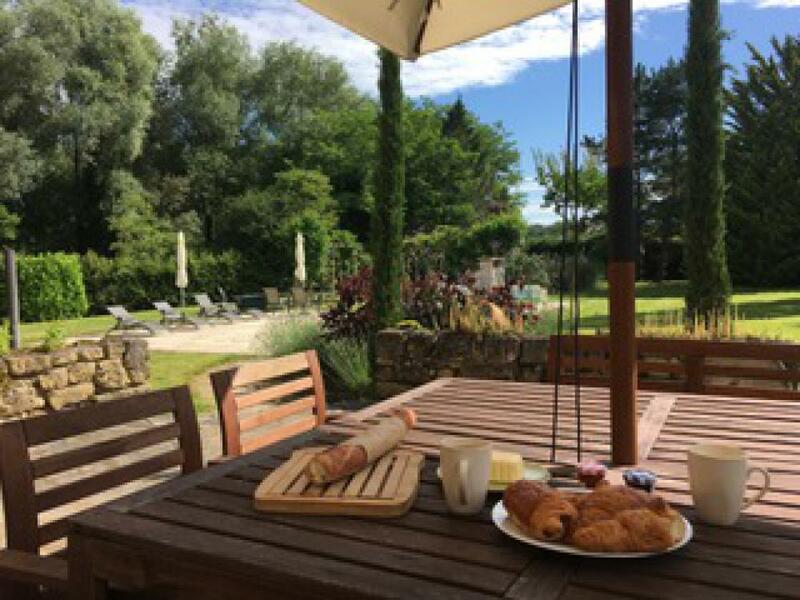 The house is situated in a tiny hamlet called La Rivière, and is literally 200m from the banks of the Dordogne, where you can swim or easily hire canoes for a trip down river to the neighbouring towns of Cénac, La Roque Gageac, Beynac and beyond! 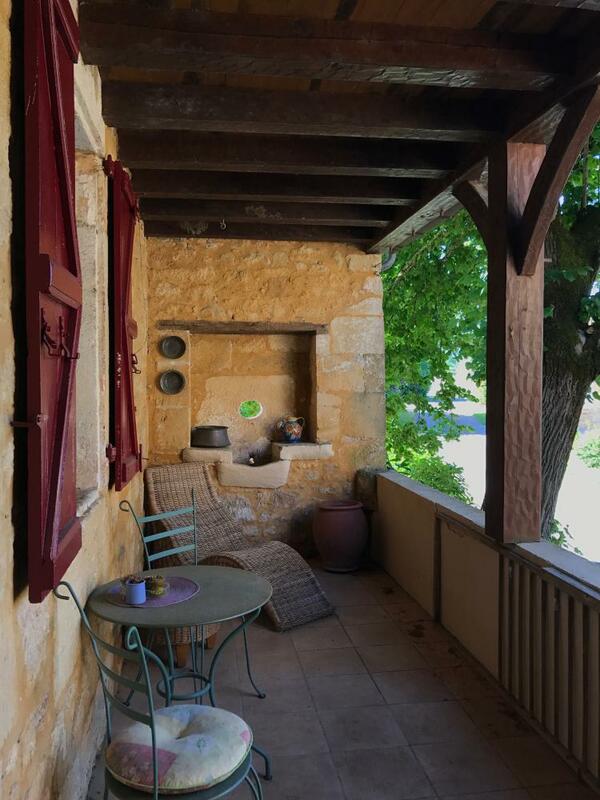 Ideally situated just 5 kms from the historic hilltop bastide town of Domme; 6kms from La Roque Gageac and 9 kms from Sarlat; the house is the ideal spot for discovering the area and all the major tourist sites of the Dordogne. The village of Vitrac offers a couple of excellent restaurants, and is situated a short walk from the house, over the bridge.